For over 125 years, Southern California Edison has been servicing southern California’s electricity market. This utility employs over 13,000 employees working in such diverse fields such as engineering, finance, service, law, skilled trades and computer science. Join them by clicking on the Southern California Edison application link at the bottom of this document. In 1896, the company that would become Southern California Edison was founded to provide electricity to Los Angeles. Over the next century, it would expand to become the largest electricity provider in southern California and be a source of innovation, particularly in the field of hydroelectric power generation. To this day, it maintains control of hydroelectric power generation operations in southern California as well as power transmission. In order to account for new sources of energy and the fact that many customers may generate a portion of the electricity they use, Southern California Edison has been taking the lead in research into smart grids that account for the vagaries of wind and solar generation as well as smart meters that account for electricity generated by customers. In addition, the company is also funding research into battery storage schemes to store excess energy from, say, solar panels during the summer. If you are a technically oriented, hard-working individual who is passionate about one’s work, you should apply for Southern California Edison jobs online. There is no printable application form nor can one download application form to work on it offline. A link to a Southern California Edison job application online form can be found at the bottom of this document. This is a free application process. 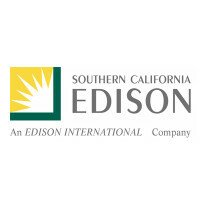 Southern California Edison jobs tend to be technical in nature, with many positions requiring degrees in engineering or information technology. Research into new technologies demands people with a scientific background, while maintenance of existing technology and facilities often requires a background in engineering or electrical trades. Job opportunities available in these fields include Control Systems Technician, Distribution Engineer and Electrical Quality Control Inspector. Administration and planning for the company’s future is another career path that can be taken at SCE. While a background in management is required for these positions, technical knowledge in the field of power generation and information systems is still an important qualification. Southern California Edison careers available in these fields include Senior, Strategic and Business Planning Project Managers as well as Financial and Technical Analysts. How old do you have to be to work at Southern California Edison? As most Southern California Edison jobs are fulltime, permanent, salaried positions with benefits, you must be at least 18 years old to work there. In addition, most positions there require post-secondary education or many years of employment in a particular technical field, making it likely that most job candidates will be older than 20 years of age. In order to apply for jobs at Southern California Edison, you must visit the website, click on the careers portal and apply online. Bear in mind that many technical and management positions require you to pass technical exams. Due to the sensitive nature of certain Southern California Edison careers, applicants may be subject to a background check. Enterprise Risk Manager – The power industry revolves around the use and maintenance of a lot of potentially dangerous equipment and installations. A risk manager provides risk assessment reports of various projects and operations to project planning committees so that project managers can plot a path forward that minimizes the risk of accidents or failures. The estimated salary for this position is $115,000 per annum depending on seniority. Strategic Project Manager – The role of the Strategic Project Manager is to develop and plan projects with an eye to the future of the company. This position’s responsibilities are to keep an eye on technological advances in the power industry and how they should be incorporated into corporate strategy. This is a senior level job and has an expected salary of $109,000. CAD Designer – Power infrastructure requires a lot of CAD so as to produce prototype installations and models. CAD designers produce drawings given a specification or a bunch of pre-rendered parts that must fit into a given pre-rendered container. Depending on seniority, they can expect to make around $63,000 per annum. Control Systems Technician – This job is a field position concerned with maintenance of existing equipment and installation of new equipment. A control systems technician is responsible for programming and maintaining the logic boards and computers in the local utility boxes. This is a technical position that will pay about $50,000 per annum, but requires a lot of travel between different locations. Why would you like to work at Southern California Edison? The interviewer is asking for specifics. What aspect of the company and the position you have applied for appealed to you when you filled out your Southern California Edison application form? It helps to do some research into the company you are applying to, particularly what challenges your future employer might want you to address. Describe a challenging situation you have encountered in your field and how you overcame it. Make sure you go into the interview with an anecdote from your previous experience. This sort of question is an opportunity for you to demonstrate what makes you especially suited for a position, and that you aren’t just a warm body filling a seat. What unique skills do you bring to the company? Describe skills that you might have that are not necessarily expected out of a person applying for your position and how they might be of use in your future position. The interviewer is looking for someone who thinks outside of the box and is not afraid to take initiative and approach problems in an unorthodox way. Technical questions will often take the form of “If a certain situation arises, what course of action would you take?” or “What steps would you take to achieve a certain goal?”. In answering these questions, be precise; specifically mention what tools you would use to solve a problem and clearly explain what your thought process and reasoning behind each step is. There is no printable application for Southern California Edison. Clicking on the application linked at the bottom of this document is how to apply for Southern California Edison online. If you are a recent graduate or are still in college, you will find that there are separate listings for internships and entry-level positions for recent graduates. You may be able to make a direct application through your college counselor. Writing a good resume is crucial to the modern applications process. For this application process in particular, it is recommended that you customize your resume for the job you are applying to by highlighting experiences and accomplishments that are relevant to the position you are applying to. Ensure that your resume shows off what makes you special. In addition, resumes are often filtered by a machine that checks to see if a resume is relevant by scanning it for keywords. After reading through the job description, take note of the keywords in the description and edit your resume so that those keywords appear in your resume. This will greatly increase the chance that the person who is actually hiring for the position will see your online application. Once your application has moved on to the interviewing stage, note that there may be more than one interview. It is common to be interviewed by HR before actually being interviewed by the people who you may actually be working with. Be sure to prepare for any interview by practicing your answers to expected questions and get plenty of sleep the night before your interview. Halliburton Construction: Visit the Halliburton Construction application. Burns And McDonnell: Visit the Burns And McDonnell application. Randstad: See our resource page for more information on Randstad careers. PECO: Checkout the application page for work at PECO. Panther Expedited Services: See this page for jobs at Panther Expedited Services.